Make use of your door for space saving and organisation. Ever smaller houses and apartments require us to take advatage of every available space, to maximize organisation and tidiness. For those who have little space, Metaltex now offers two convenient products that pose a solution to the usually wasted space behind doors. They transform the available space into an extension of a pantry, wardrobe or utility room. Sturdy tubular structure with 4 large baskets in plastic coated wire. 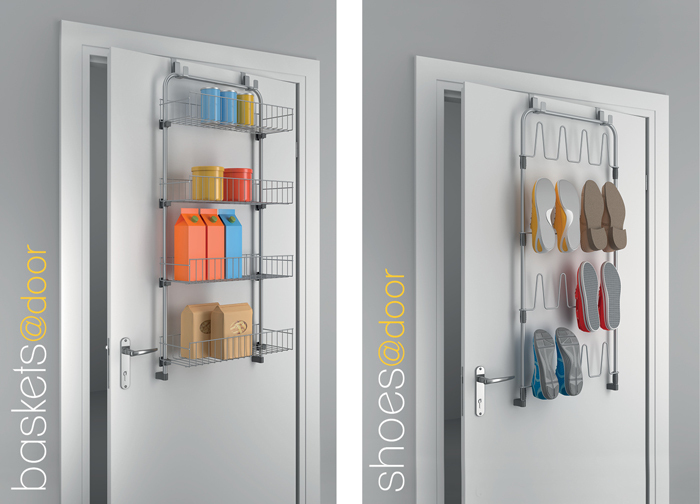 Ideal for pantry doors, wardrobes and utility rooms, to mantain things tidiness and ease of access. Sturdy tubular structure and plastic coated wire. Hangs up to 8 pairs of shoes. Ideal behind cabinet doors, closets, wardrobe and laundry doors. 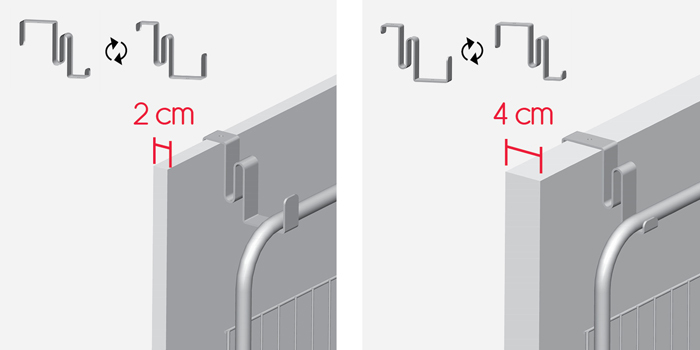 Each product includes 2 hanging supports that can be used in both standard door thicknesses of 2 and 4 cm.